Altium, a leading provider of electronics design systems for PCB design, today announced its sponsorship of seven teams at SpaceX’s upcoming 2018 Hyperloop Pod Competition, which will take place on Sunday, July 22, 2018 at SpaceX’s headquarters in Hawthorne, California. 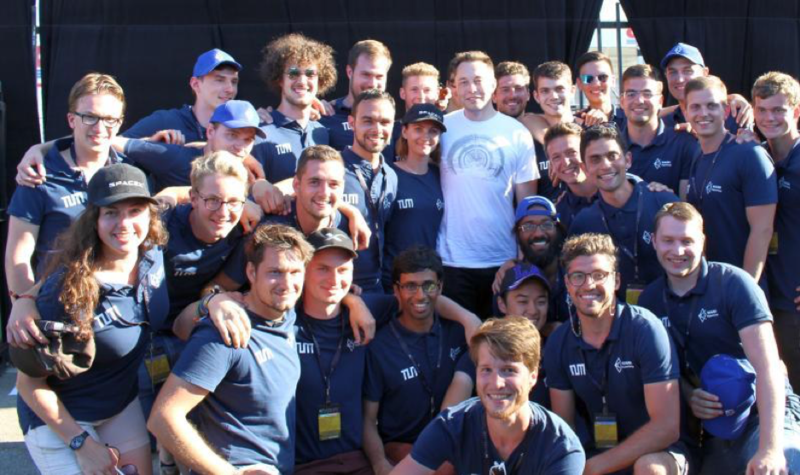 Altium announced its sponsorship of seven teams at SpaceX’s upcoming 2018 Hyperloop Pod Competition. A sponsor since the first competition in 2015, Altium is proud to provide tools to help enable the next generation of electronics engineers. Altium, a leading provider of electronics design systems for PCB design, today announced its sponsorship of seven teams at SpaceX’s upcoming 2018 Hyperloop Pod Competition, which will take place on Sunday, July 22, 2018 at SpaceX’s headquarters in Hawthorne, California. Now in its third installment, the competition aims to accelerate the development of functional prototypes and encourage up-and-coming university and innovator teams to design and build the best transport Pod for high speed ground transportation. A sponsor since the first competition in 2015, Altium is proud to provide tools to help enable the next generation of electronics engineers. SpaceX held its first-ever Hyperloop Pod Competition in 2015 to give global teams the opportunity to design and build a Hyperloop Pod to bring to life Elon Musk’s vision of a high-speed ground transportation. Last year’s winner, WARR Hyperloop of Technical University of Munich (currently sponsored by Altium), reached a pod speed of 201 mph. This year’s competition will be judged solely on one criterion: maximum speed with successful deceleration (i.e., without crashing). Additionally, all Pods must be self-propelled. Since its inception, the competition has continued to inspire electrical engineering students around the world to push the boundaries of innovation. Founded in 1985, Altium has offices worldwide, with US locations in San Diego, Boston and New York City, European locations in Karlsruhe, Amersfoort, Kiev, Munich, Markelo and Zug, and Asia Pacific locations in Shanghai, Tokyo and Sydney. For more information, visit http://www.altium.com.